Rowers from Christian Brothers Academy headed landward at Fair Haven Yacht Works, above, after winds of 23 miles per hour prompted the cancellation of what was to have been Fair Haven’s first regatta for high school crews Saturday. Fair Havenites took took to the beautiful Navesink River for a day of celebratory boat races in honor of the town’s nautical heritage as part of its ongoing centennial Saturday. Photographer Peter Lindner was out on the water for redbankgreen. Sandwiched between the Navesink and the Shrewsbury rivers, residents of the Green can hardly complain that theres nothing to do during the scorching summer hot months. And in Fair Haven, one of them is Saturday’s Fair Haven Regatta, part of the borough’s year-long centennial celebration and an opportunity for people to get out and take pride in the waterfront heritage of their hometown. The regatta came about from a desire to honor Fair Havens nautical heritage and spotlight the beautiful Navesink River we all enjoy, said Joe Malik, a member of the committee that organized the event. After the George Sheehan Classic in Red Bank Saturday morning, there’s plenty for locals and visitors to do hereabouts on the Green. And the weatherbot says Mother Nature will cooperate, providing ample sunshine and temperatures in the mid-70s. Here are two diversions, one indoors, and one out, both steeped in the richness of the past: Fair Haven’s Centennial, and a celebration of the reconstituted Red Bank Antiques district. Closing in on a celebration of its centennial, Fair Haven is having some trouble tracking historical time capsules, the Asbury Park Press reported Wednesday. 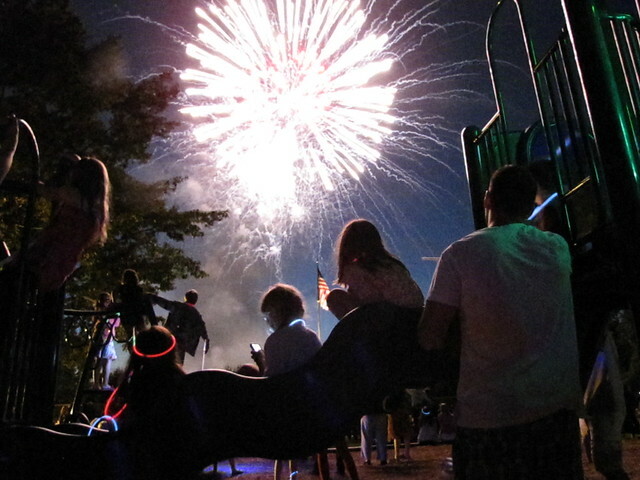 With food, fireworks, music and other details of the June 16 public celebration squared away, borough officials are trying to determine whether to assemble a time capsule for posterity, and wondering past time capsules are accounted for, the Press reports. Kicking off its centennial year, the Borough of Fair Haven hosted a fundraising gala at the Raven and the Peach restaurant that attracted 300 revelers Saturday night. It’s been nearly 14 years, but Fair Haven again has a woman on its governing body  just in time for its second century. Susan Sorensen, who was elected in November, was sworn in as a member of the borough council Sunday. And the event occurred as the town kicked off one of her pet projects: celebrating its first century as an independent entity.